Emergencies happen to everyone at one time or another. The important thing to know is what to do when they occur. Below are the signs of a dental emergency, what to do for certain ones, and how you can avoid them. 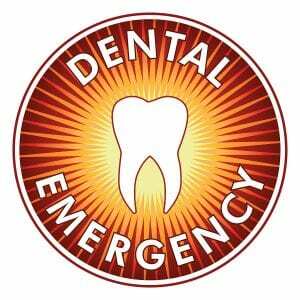 How do you know you could be having a dental emergency? These can all be signs of the following specific dental emergencies… It is important to remember not to use aspirin or numbing gels for any of these situations. They can cause further inflammation and pain in the gums. If you must take something for pain relief, use acetaminophen in the recommended dose. If you have had a tooth knocked out, be sure to keep it moist. First, see if you can place it gently back into the socket. If it will not stay, you can keep it tucked under your tongue or in your cheek… Other ways to preserve it are to place it in a glass of milk, or an ADA approved preservation liquid. Get to your dentist as soon as possible and they may be able to reattach your tooth in its original place. In the case of a baby tooth being unexpectedly knocked out, follow the same steps and go to the dentist so they can check that the tooth came out in one piece. In the dental emergency of a cracked or chipped tooth, rinse your mouth out with warm water. Apply a cold compress to reduce swelling, and visit your dentist as soon as you can. For a toothache, rinse with a warm saltwater mixture and then try flossing gently around the tooth. Sometimes a caught piece of food can cause pain that will immediately improve when it is removed. If these steps do not help, or it gets worse, make an appointment for a dental emergency. When you have experienced a trauma that you think may have broken your jaw, use a cold compress and get to your dentist or hospital as soon as possible. A life threatening dental emergency is an abscess. It is imperative to get to your dentist right away since the infection can spread very quickly. A warm, saltwater rinse can be used to draw out some pus and relieve pain to a small degree. Do not chew hard items like ice, popcorn kernels, crunchy candy, etc. Always use good judgment and do not panic if you have a dental emergency. Follow these steps and never try to self diagnose or fix things on your own. Your dentist can help you through all these and anything else that happens to your teeth. Remember to keep up with a proper dental hygiene regimen, and visit the dentist regularly for checkups and cleanings. Contact us today to schedule your next visit.